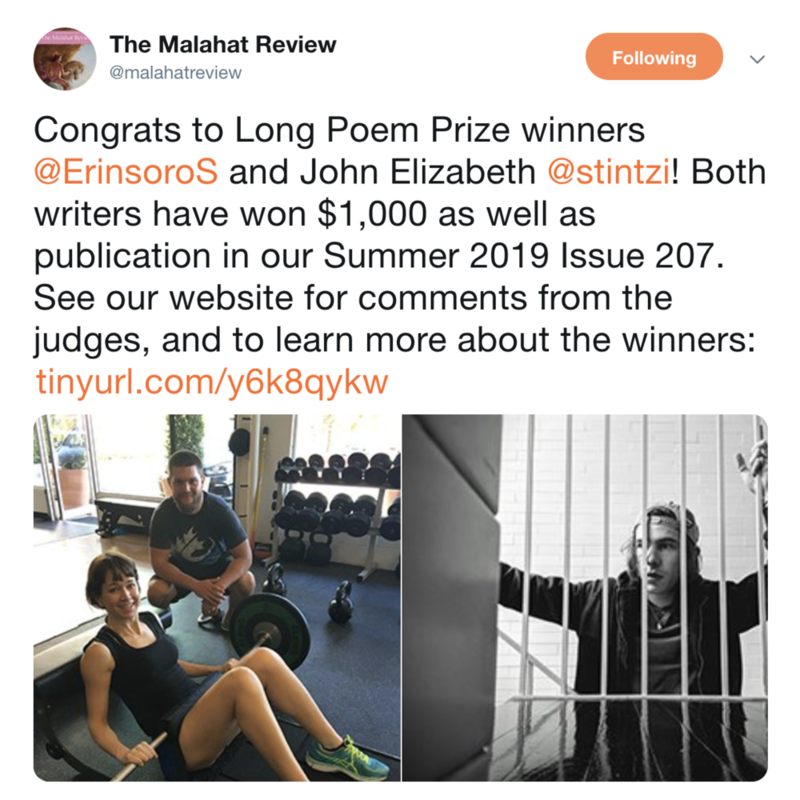 My poem "Cold Dying Black Wet Cold Dying Thing" was named a winner of The Malahat Review’s 2019 Long Poem Prize! It will be published in the summer issue of the magazine. Read more here. My chapbook has sold out in its physical form, but you can now purchase it as a digital eBook from knife | fork | book’s webshop here for a FRACTION of the price and INSTANTLY. Poet and editor Patrick Grace interviewed me over at The Malahat Review about my poem “Hale-Bopp” in their Queer Perspectives issue. Check out the interview here and order a copy of the issue! 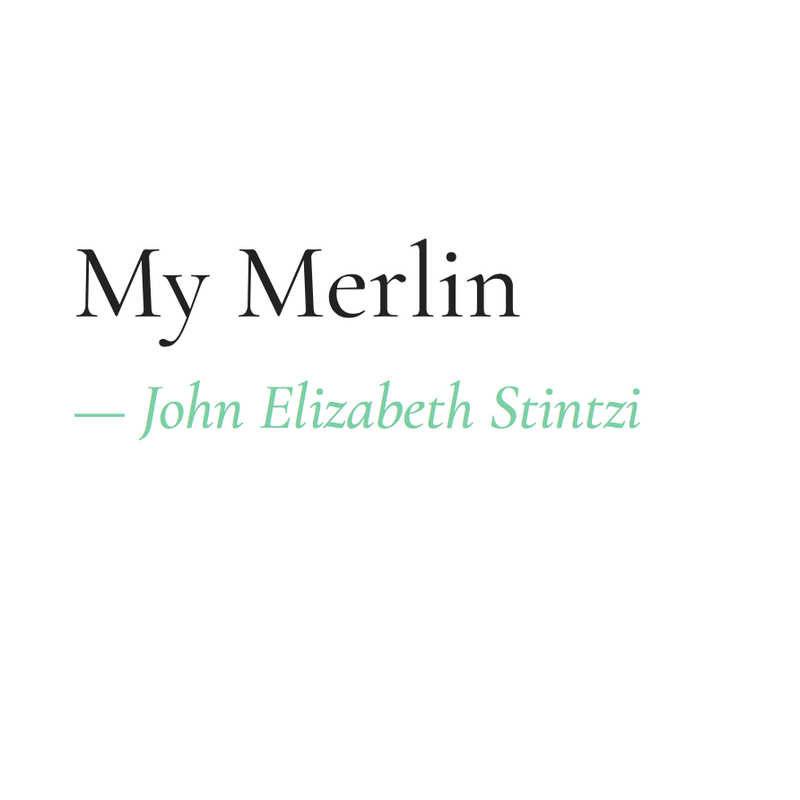 Platypus Press’s journal wildness chose my short story “My Merlin” for their nominee for the Best American Short Stories anthology! Deep thanks to the folks at Platypus Press for their support. My conversation with one of my knife | fork | book chapbook siblings, Lauren Turner, is up on Adroit Journal’s blog. Check it out here! Story up on Platypus Press's "wildness"
My short story "My Merlin" was recently published in wildness' August issue (Issue 15). Read it here! 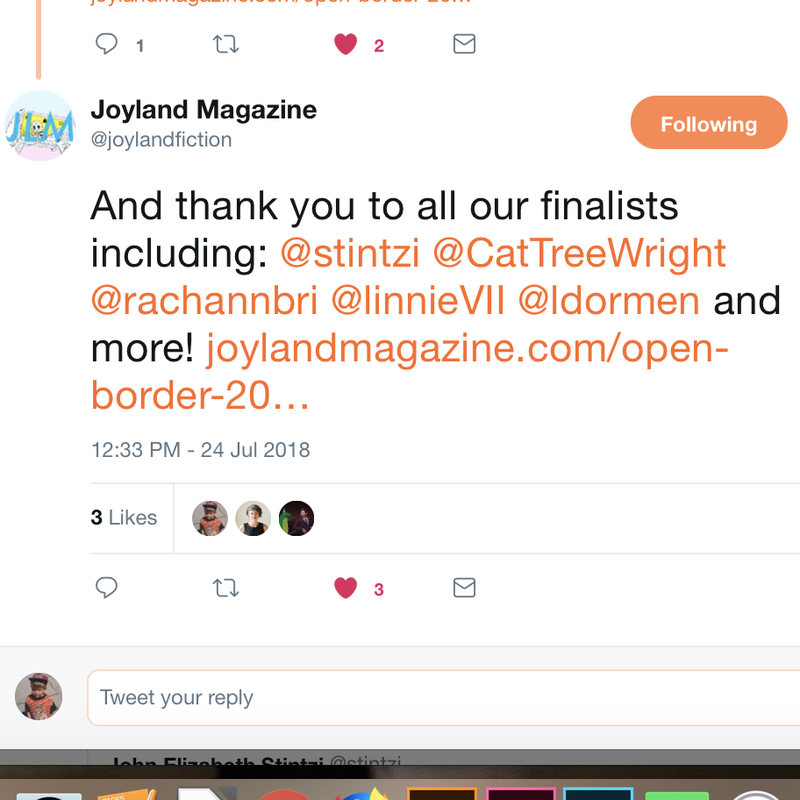 I was a finalist for Joyland's 2018 Open Border Fiction Prize, judged by Rachel Khong, for my short story "Grampa's Bag of Bubonic's Brood." A series of videos I did for poetry month (which I called #ThirtyDaysToLife) has completed. Each day I posted a reading of a poem I like. Simple as that! Check it out on YouTube, or here. 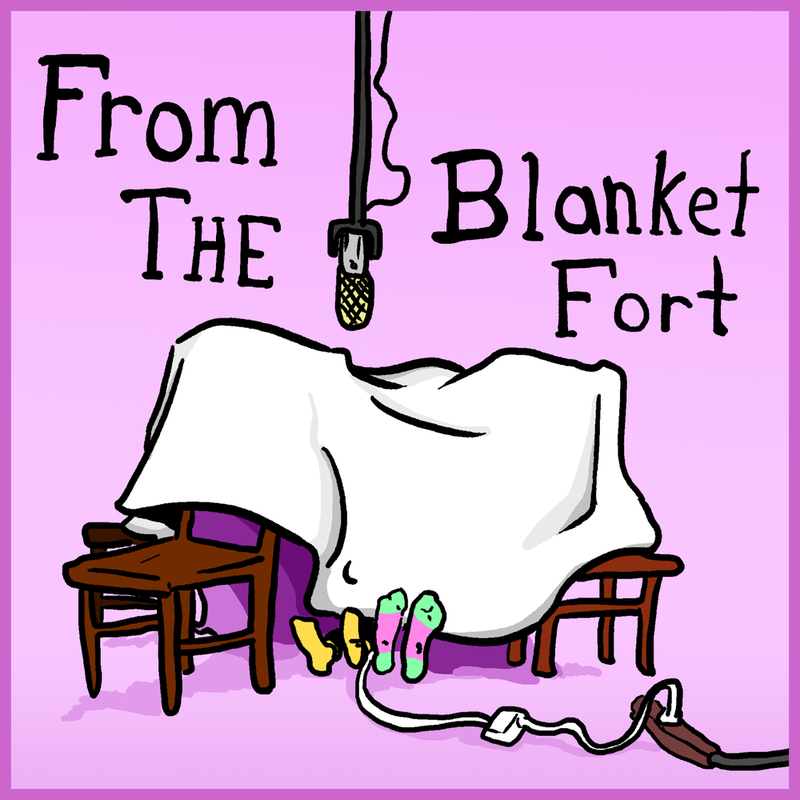 I had an extended visit with the From the Blanket Fort podcast—hosted by Eric and KD—where we talked all things silly and super serious. 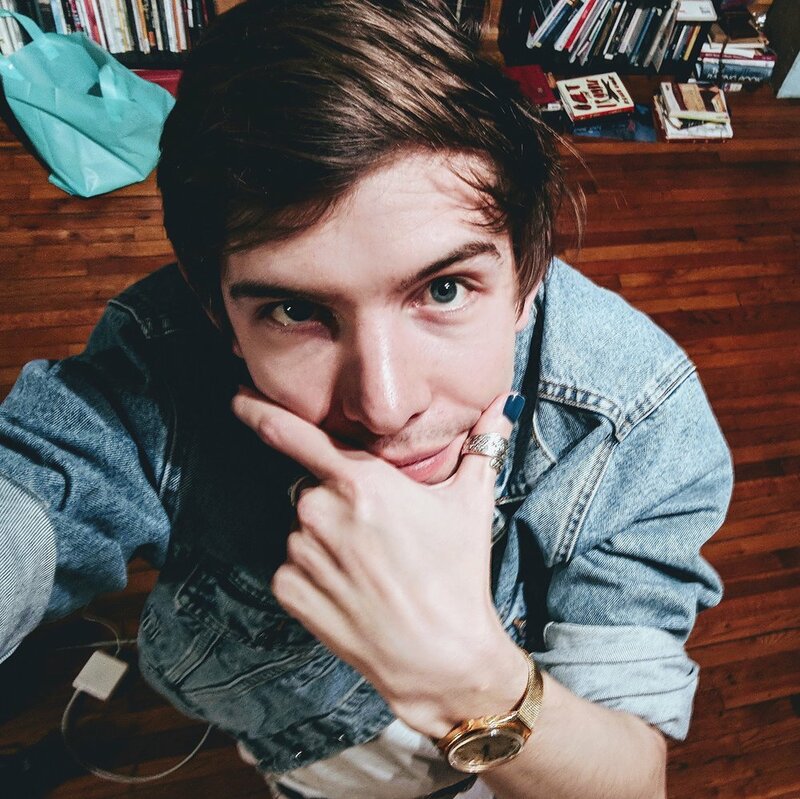 Check out the episode featuring me—titled This Podcast Is A Poem—here! Was interviewed by outgoing fiction editor of Black Warrior Review Emrys Donaldson about my story "Going Toward Gadd." Read that here! My story "Going Toward Gadd" (which was also a finalist for the 2017 Fiction Contest) has been published in Black Warrior Review's Spring/Summer 2018 issue (44.2). Buy a copy here! New poem is in Issue 40 of The Puritan! Read (or listen to me read it) here. Thanks to A. Light Zachary and Catriona Wright for taking it. 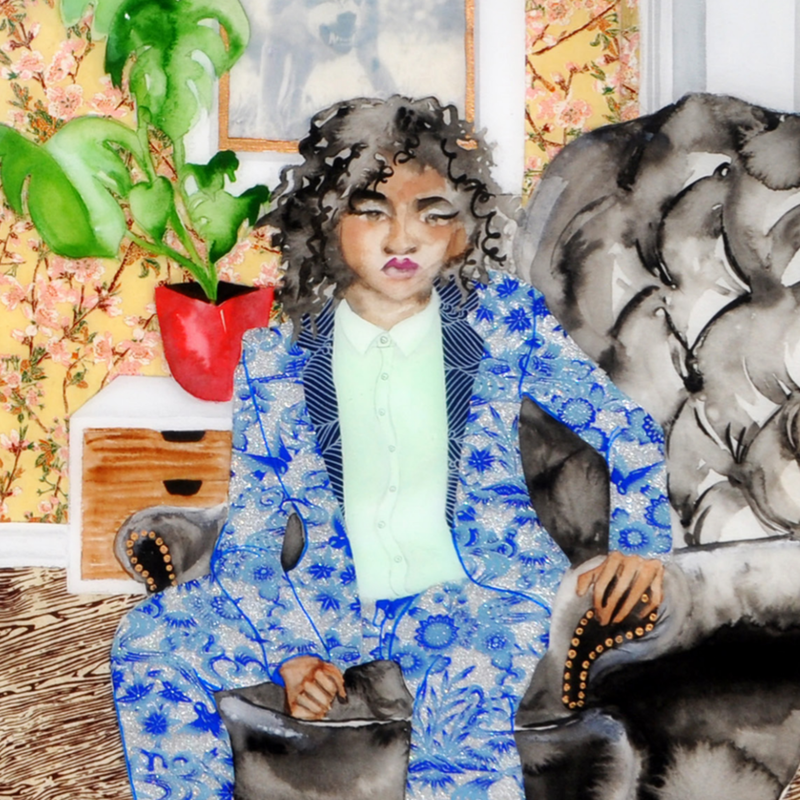 Check out my poem, then check out the rest of the trove of wonderful work in the new issue. 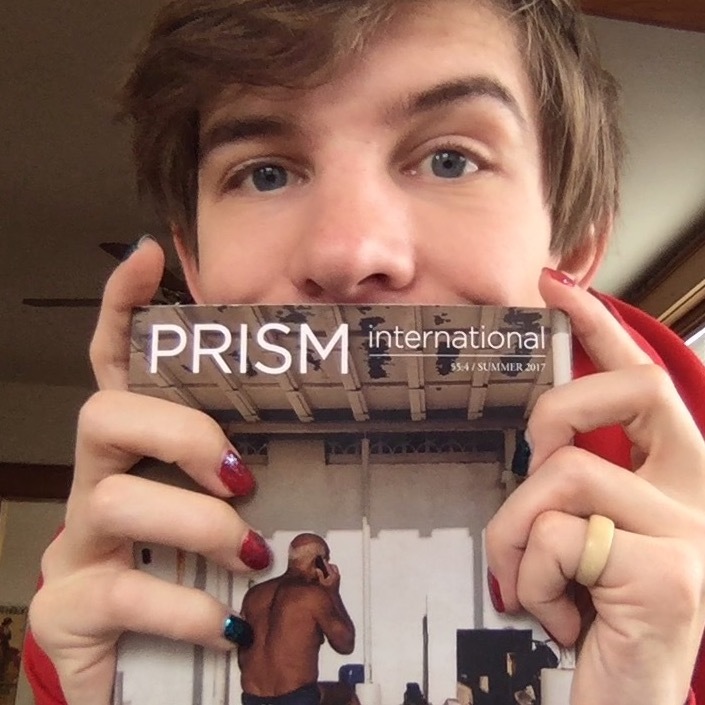 PRISM international has chosen my short story "Notes for My Biography of Wade Owens" (published in their 55:4 Summer 2017 Issue) as their nominee for the Writers' Trust Journey Prize! Special thanks to Christopher Evans (Fiction Editor for the issue! ), Kyla Jamieson (current Fiction Editor! ), and the whole team at PRISM international who do such great work. The Machete Tourist available for pre-order!